To live in a world that does not tolerate violence, and a community that will work together to eliminate violence and its’ associated issues. 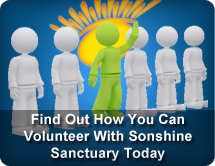 Kp>The Sonshine Sanctuary will provide safe crisis accommodation and holistic support to all women and their children escaping from domestic violence and/or family violence, and associated issues. We will assist women and children to meet their immediate needs, and provide an environment of positive attitude to enable the cycle of violence to be broken. To offer crisis accommodation and support to women and children made homeless by domestic and/or family violence. [i] To provide crisis accommodation and immediate assistance for women and children made homeless by domestic violence, family violence, abuse, oppression or trauma. [ii] To help such women and children to gain monetary, emotional and spiritual stability sufficient to re-enter society with confidence and self-sufficiency. [iii] To support such women and children after their re-entry into society. [iv] To assist any woman and child regardless of race, religion, political persuasion or status within the capacity and ethics of the Association. [v] To offer a high quality service to women and children clientele by good governance and adherence to best practice standards. [vi] To undertake activities in the community designed to further the objects of the organisation and its Vision Statement.